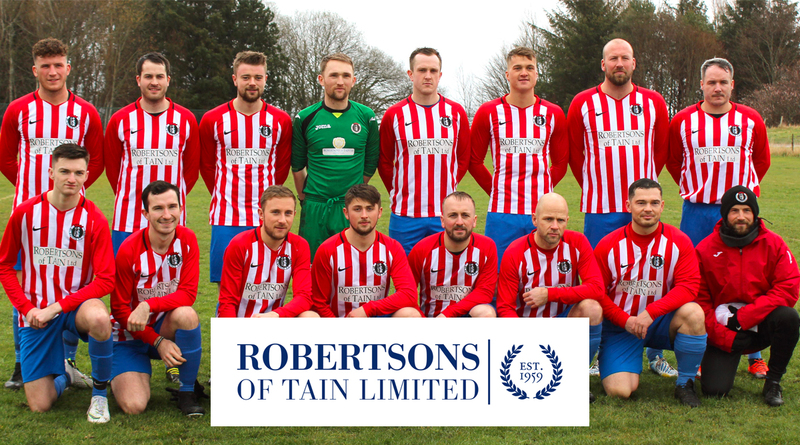 MEMORIES of the Saints' impressive victory over Halkirk United earlier last month seemed like a distant memory come full time after a 5-0 win for the league champions at Morrison Park. With John Skinner still recovering from an injury, Barry Kenny was recalled for his third trialist appearance of the season at centre half. An ever present before today, Will Ross missed out due to illness, while Jamie Skinner is still recovering from a back problem. 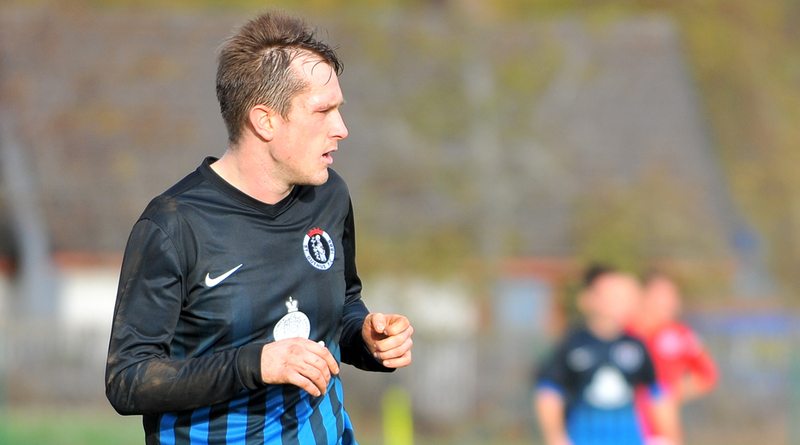 Trialist Ewan Ross made his first start, alongside new signing Alan Davis who joined the club in midweek. St Duthus looked sure to have taken the lead with ten minutes played after a cross found Lewis Ross in the box, but James More in the Halkirk goal produced a superb save when he scooped the ball away to safety on the goalline. At the other end, a neat ball through to Darren Malcolm saw the Halkirk defender break free on goal, but Steven Martin in the Tain goal blocked his shot well. Seemingly in an advanced position, Graham Macnab knocked the rebound into the net, sparking a series of protests from the visiting touchline and their supporters. Nevertheless, the assistant referee's flag remained down and the opener stood. The controversy surrounding the opener set the tone for the first half, as the Saints' frustration with the officiating continued to grow from that point on. Slick passing from the home side led to homesters' second just before the half hour, as they began to assert their authority on the game, and midway through the first half they netted their second, Macnab again the man to put the Saints to the sword with the final touch on a square ball, sent right down the throat of Martin. 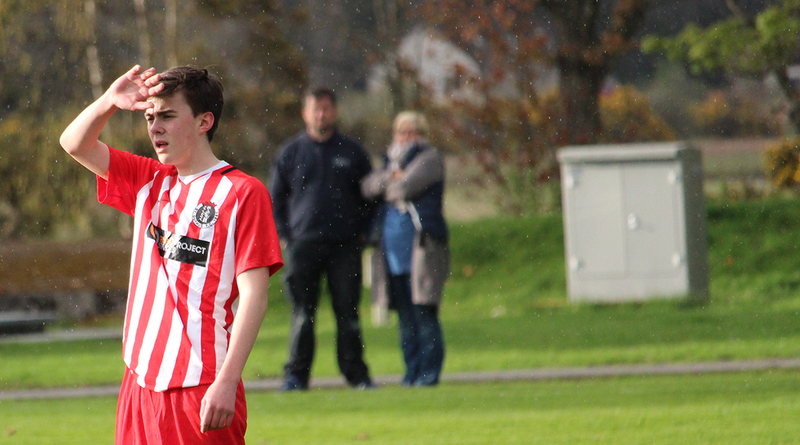 The goal signalled a change in formation for the Saints as they switched to three at the back. Coming back into the game, the Tain men looked to pull a goal back and Jon Campbell, doing his best to give the Halkirk back line some trouble, offered a shot on goal from distance, with the Saints most significant reply during the latter stages of the first half. A disappointing 45 minutes was compounded by a very harsh second yellow card for Garry Macleod after a trip, sending the centre half back to the pavilion just before the break. 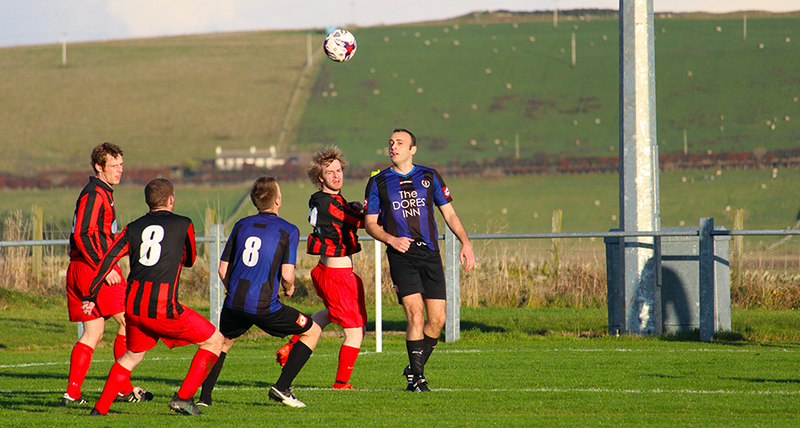 Ten man St Duthus started the second half brightly and were the better side for a spell against a Halkirk eleven who looked as though they felt the hard work was done. Jon Campbell again looked threatening as he aimed to bring substitutes Liam Rostock and Jake Lockett into play, and along with Paul Cowie, Cammy Mackintosh showed the same energy we have become used to as he broke up play and battled well. Ewan Ross, as he did in the first half, stood out in terms of commitment and showed great adaptability to move between positions during the game. With a quarter hour remaining, Halkirk's star man Graham Macnab nabbed a couple more, taking his tally for the afternoon to four, with two goals in quick succession, the second of which leaving the Saints' touchline infuriated after a free kick was taken quickly from an advanced position, at the same time as the St Duthus men were helping a fallen Halkirk player back to his feet. A miserable final fifteen minutes followed as both sides' awaited the final whistle, Halkirk content to pepper the Tain goal with shots high and wide, giving the corrogated sheeting on the stand behind the goal a rough time of it. Liam Rostock was unlucky with a late effort on 81 minutes, shooting wide after good work with the Saints' final offering, and just before time, Steven Martin produced a superb save to push an effort away from goal, only for the ball to return via the head of Alan Larnach who looped the ball into the far corner for Halkirk's fifth of the afternoon. 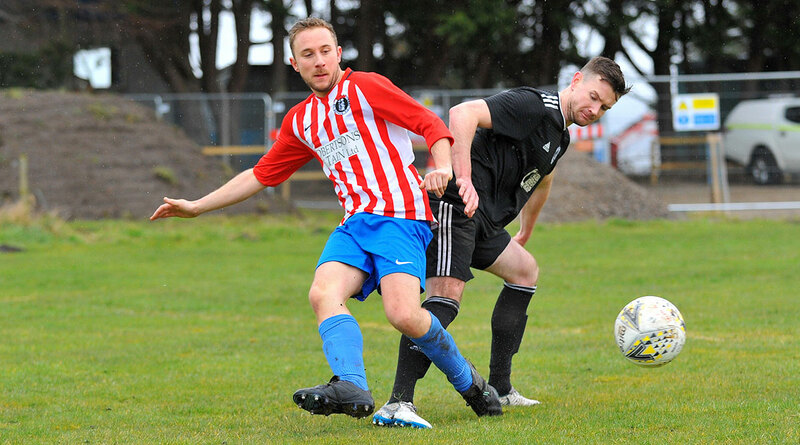 With the objective of getting back to winning ways, the Saints now travel to Grant Park, Lossiemouth for their next game, in the quarter final of the North Caledonian Cup. 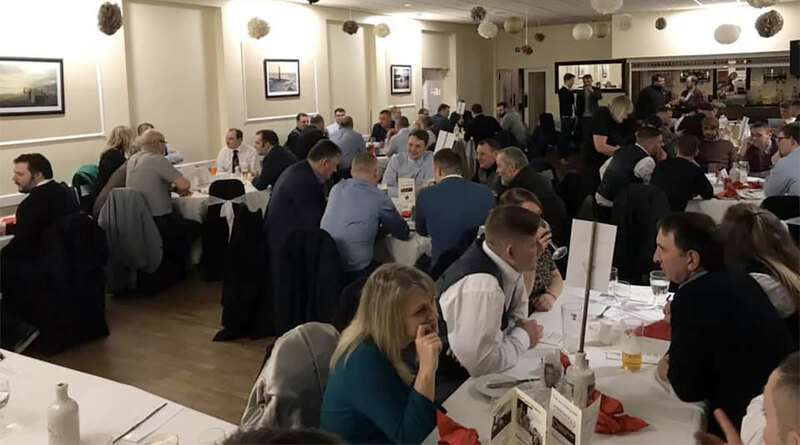 An unknown quantity, Lossiemouth's youngsters will play their first game under the North Caledonian FA banner next Saturday, and St Duthus will be hopeful that their debut will be an unsuccessful one, with the carrot of a semi final place as the reward.